When I think of dangerous animals of the sea, sea lions aren’t the first thing to come to mind. Though that has now changed after seeing this video. The shocking footage shows bystanders on a pier laughing at the animal’s playful movements before things get a lot more serious. 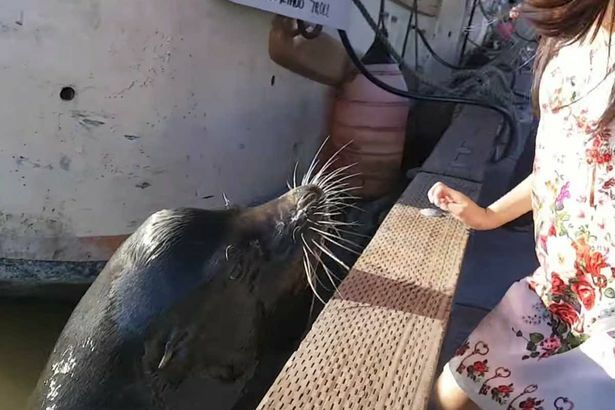 The incident took place at Steveston Fisherman’s Wharf, Canada, and shows the little girl sitting on the edge, observing the sea lion. 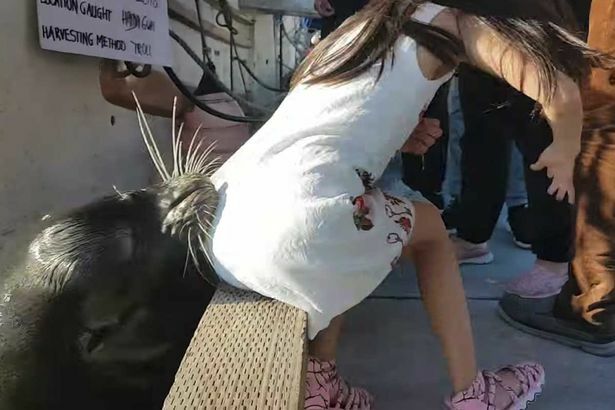 No one was expecting the sea lion to jump high out of the water, grab onto the girl’s dress, and drag her straight into the water. It is the most terrifying split second and the family can be heard screaming in disbelief before one member instinctively dives in to save her. Luckily no one was hurt, but no doubt that was pretty traumatising. Sea lions are mainly thought to be timid creatures and are often taught to do tricks for entertainment. Adding sea lions to the long list of things I’m scared of.